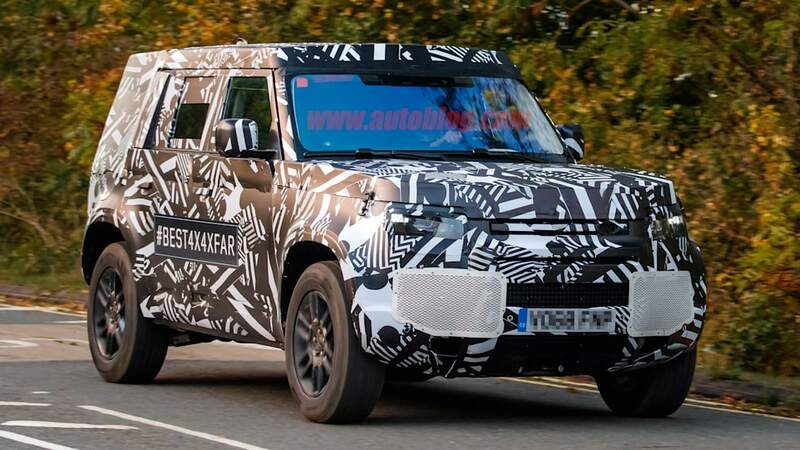 The last time we saw a Land Rover Defender prototype, it was sporting a thoroughly shortened Range Rover Sport body. 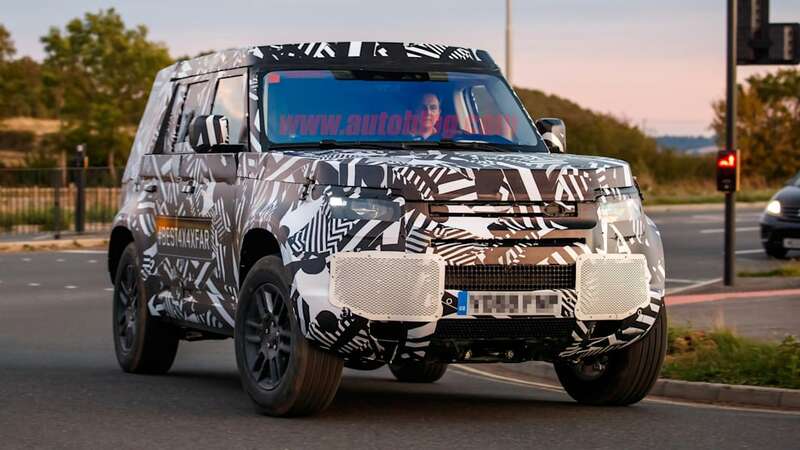 While it was clear the bodywork was hiding a Defender chassis underneath, it didn't give any clues as to whether its design would hew close to the original, or become something much more modern. 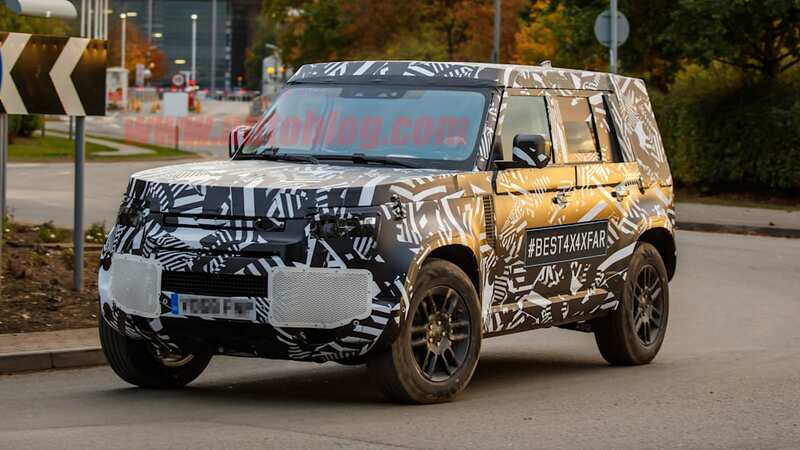 Now photos of a more developed prototype with a body close to the production model have emerged, and it appears to split the difference, with a slight lean toward the original. 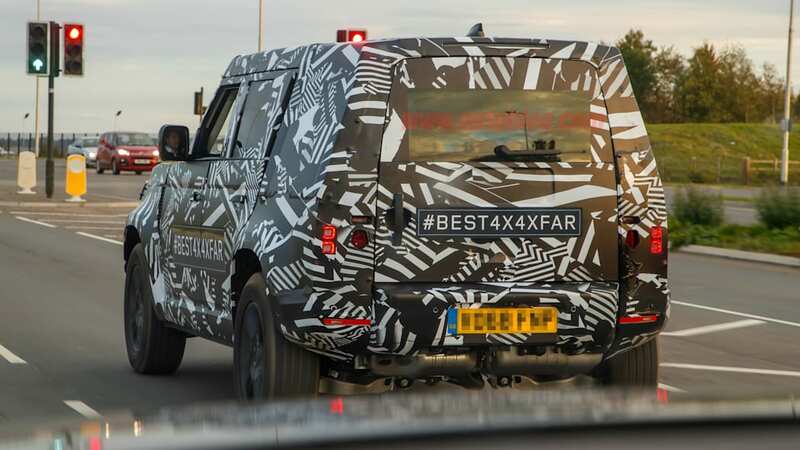 Importantly, the new Defender is nearly as boxy as its ancient predecessor. The rear hatch is bolt upright, and the roof extends at a nearly 90-degree angle forward. Every corner on the doors and windows is sharp. The sides are slabs, and the hood is flat. the roof is quite thick, a clear homage to the original. 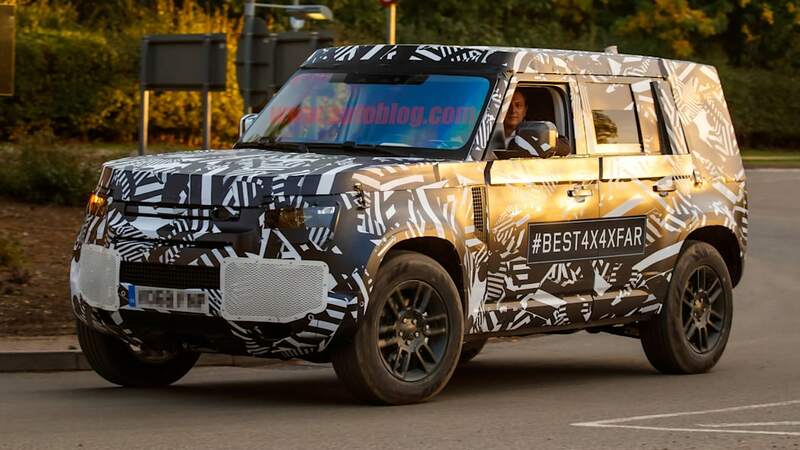 It wouldn't be surprising if Land Rover offered to paint it contrasting colors. 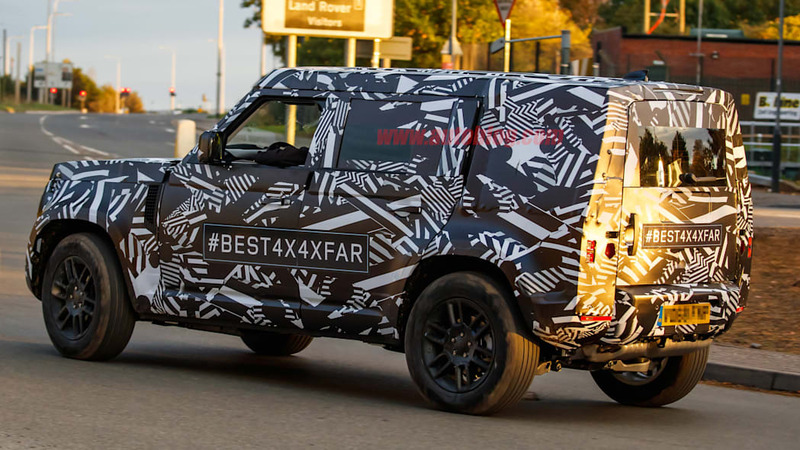 In another classic, and practical, nod to the original, the rear hatch is split, with the bottom half swinging to the side. 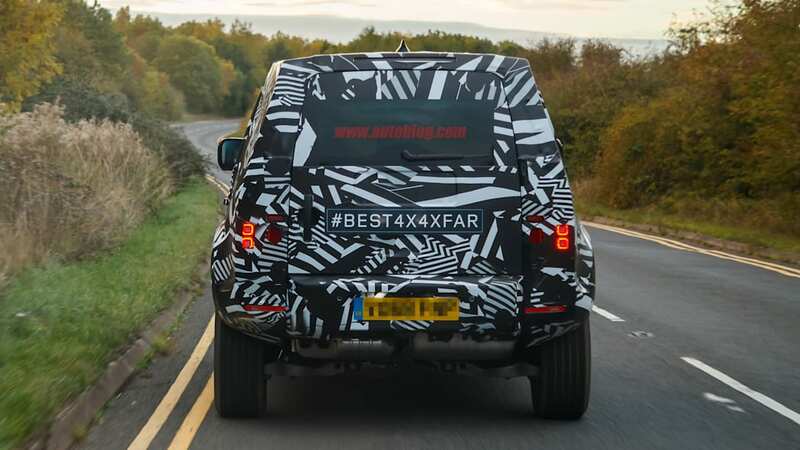 This is probably to support models with a rear-mounted spare tire, similar to the Jeep Wrangler. 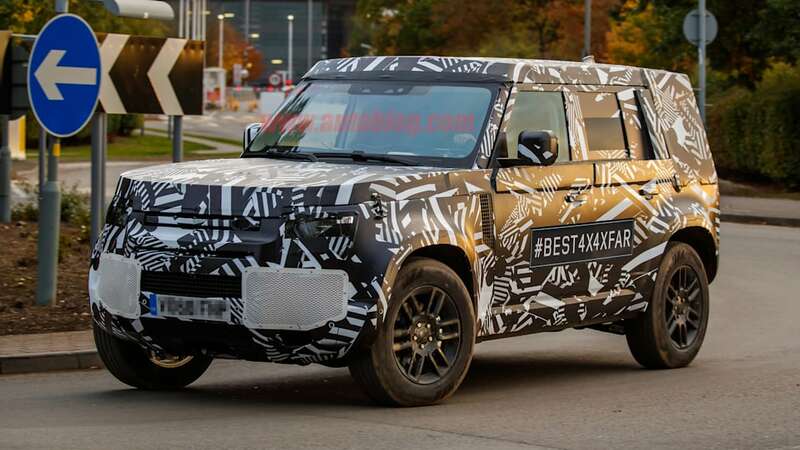 The very short front and rear overhangs also support the classic look, and they should allow for steep approach and departure angles for off-roading. 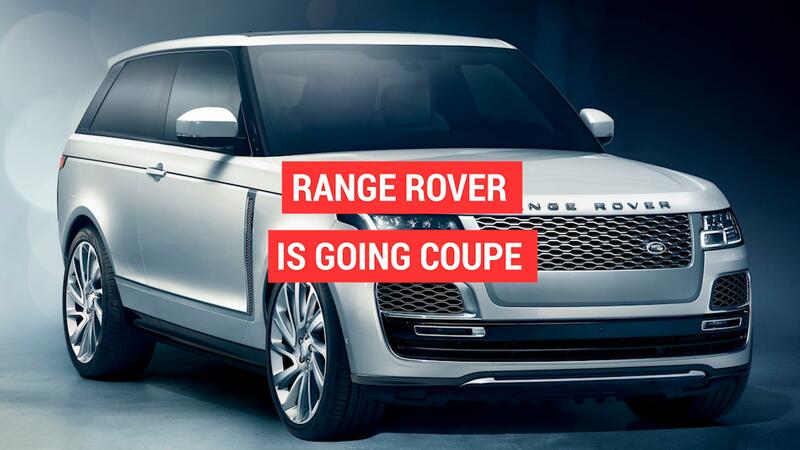 There are aspects of the design that are much more modern, though. 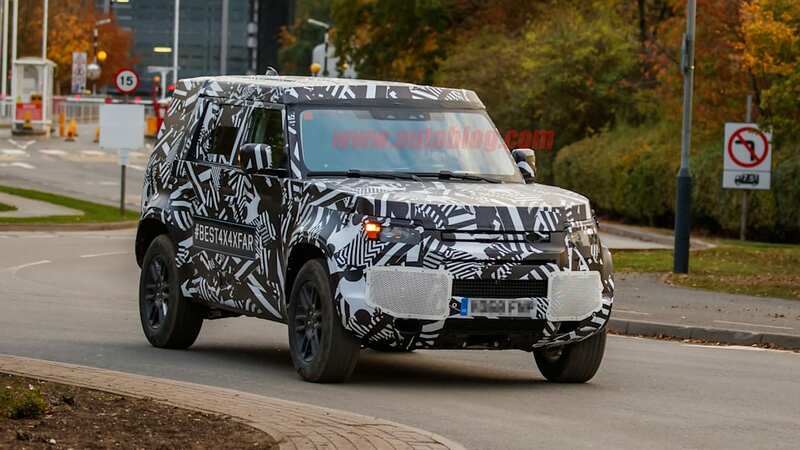 The windshield has a clear curve, and it blends into the A pillars, which will probably be black to provide a cantilevered roof look. 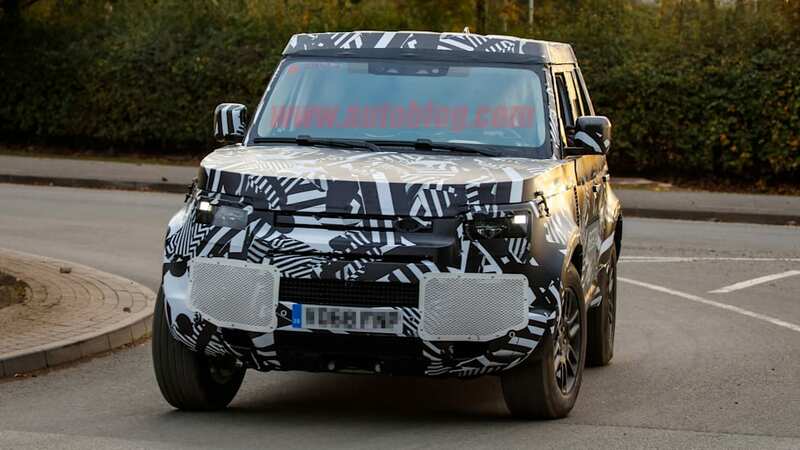 The shape of the headlights and grille also look similar to those found on the modern Range Rover, and they seem to have roughly the same curve as that of the windshield. The body panels themselves are very smooth and uncluttered, and they gently bulge outward toward the fender flares. 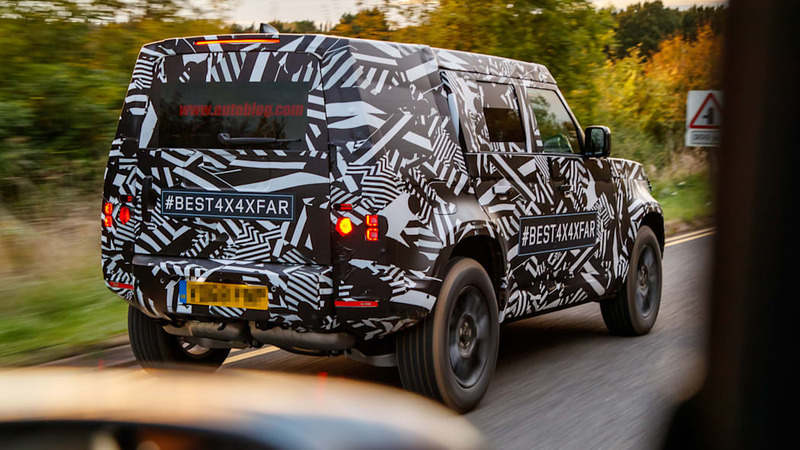 All-in-all, we think the new Defender is a smart blending of old and new, and should satisfy fans of both kinds of Land Rover. 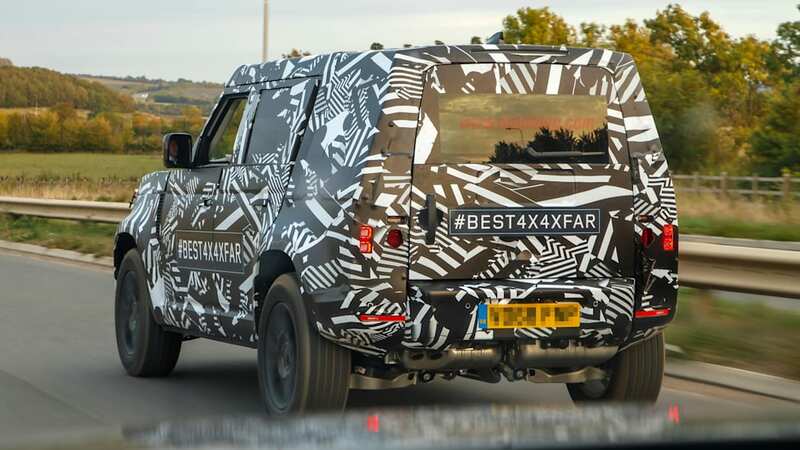 And based on the last prototype, there will probably still be a two-door variant in addition to this four-door model. 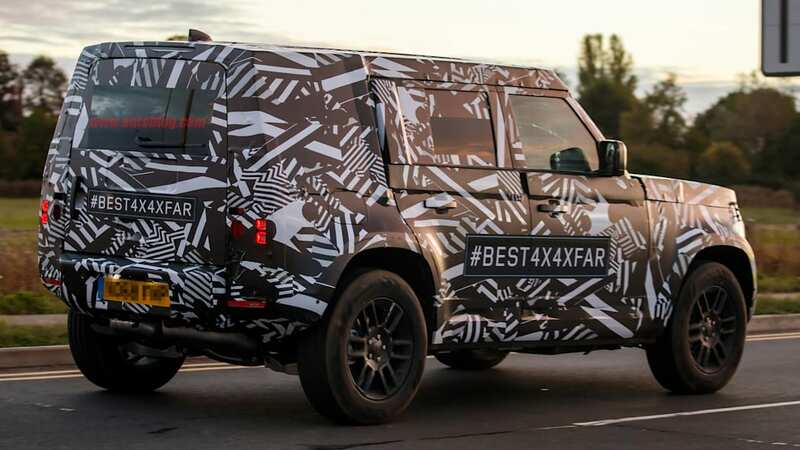 What is yet to be seen is whether it will live up to its predecessor and the prominent "#Best4x4xFar" hashtag. 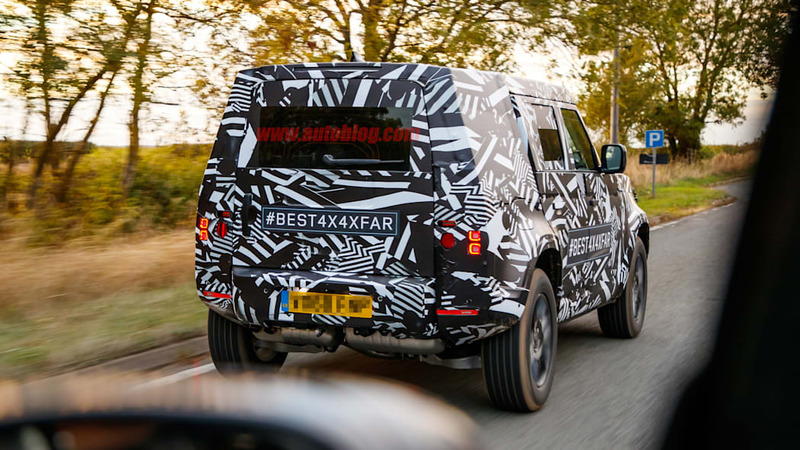 Certainly purists will be put off by the independent front and rear suspension. 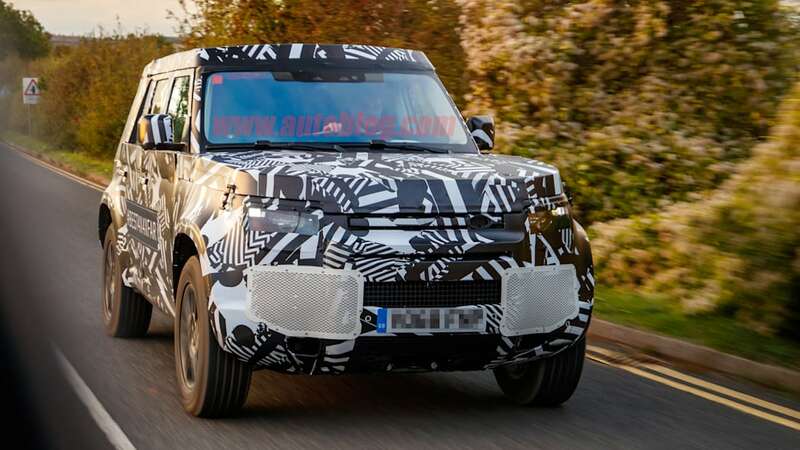 We also don't yet know if it will be body-on-frame or a unibody, though Land Rover has been able to make some highly capable off-roaders even with independent suspension and no separate frames.